Let’s take a look at a few Green cards from series 4! 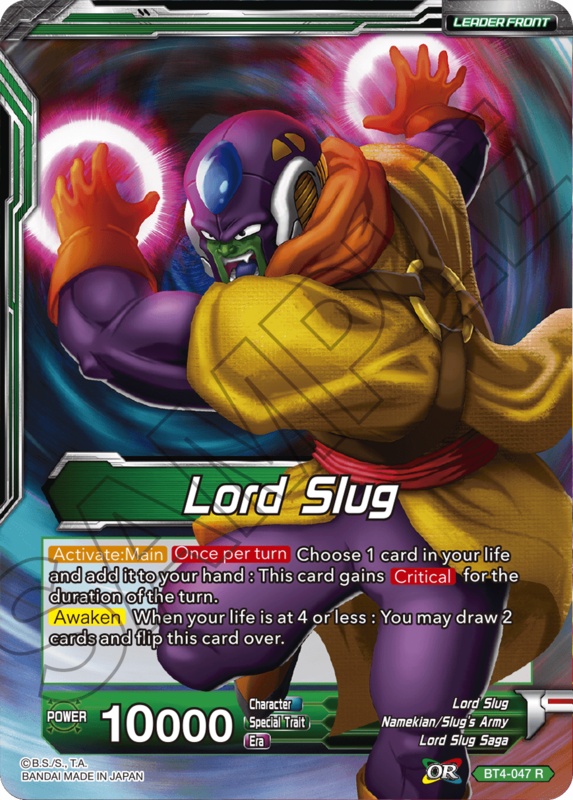 Green in series 4 is mostly focused on Namekians and Lord Slug Saga!! check out the green starter page! 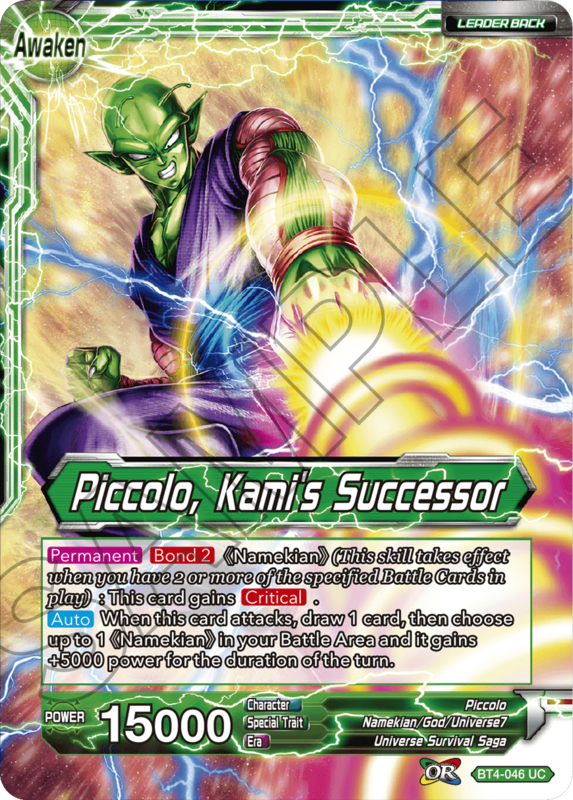 The perfect leader for a Namekian deck! 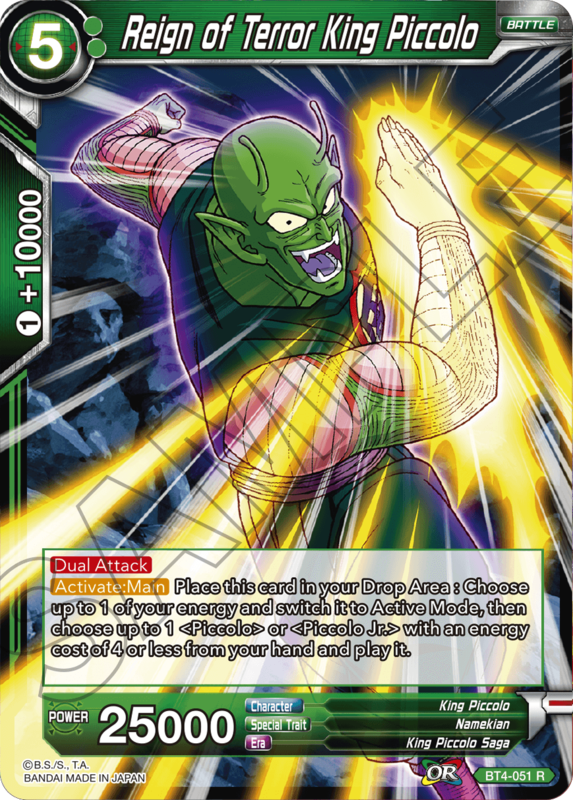 He gains Critical when Bond is active, so assemble a Namekian squad and go for the win! 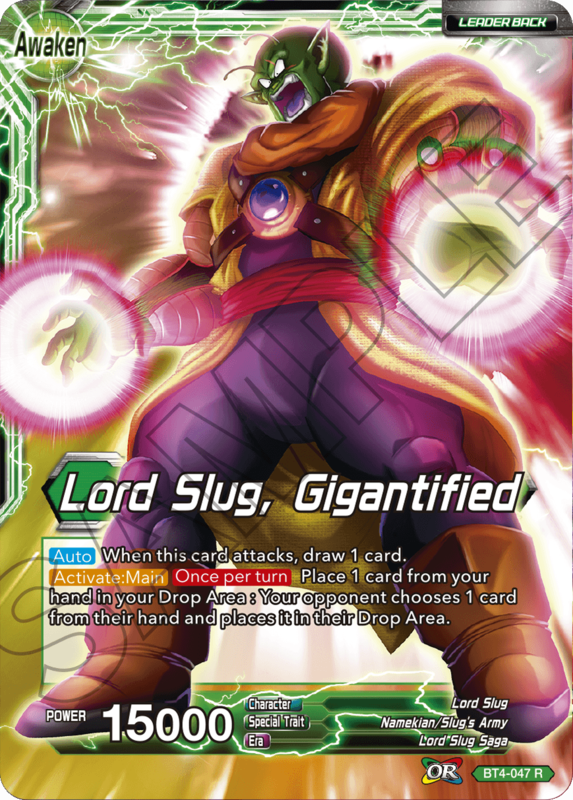 Once Lord Slug gets big, he gains a powerful skill that wrecks your opponent’s hand! Awaken him quickly to whittle away your opponent’s options! 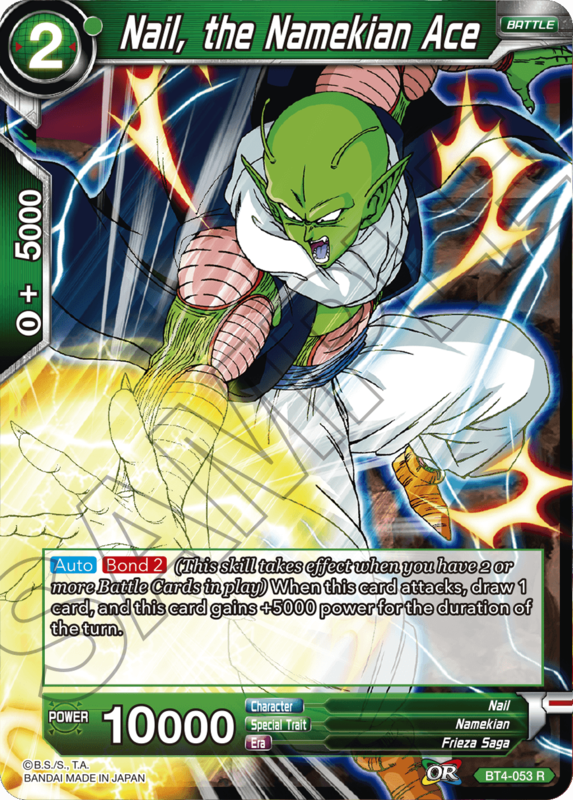 Play a 1-cost Namekian on turn 1 to quickly get Nail’s skill up and running and start drawing a card with every attack! 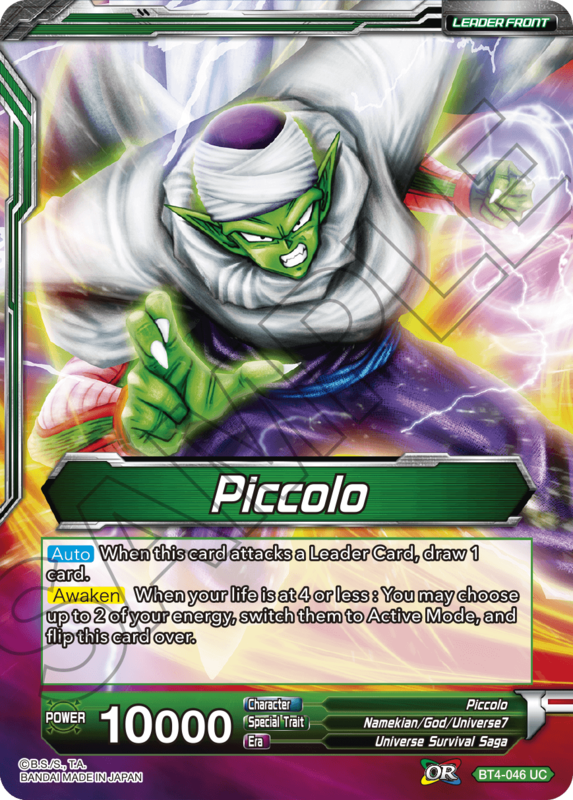 With both Dual Attack and a skill that lets you trade him in for a new card, King Piccolo is a versatile attacker that opens up your mid-game options! 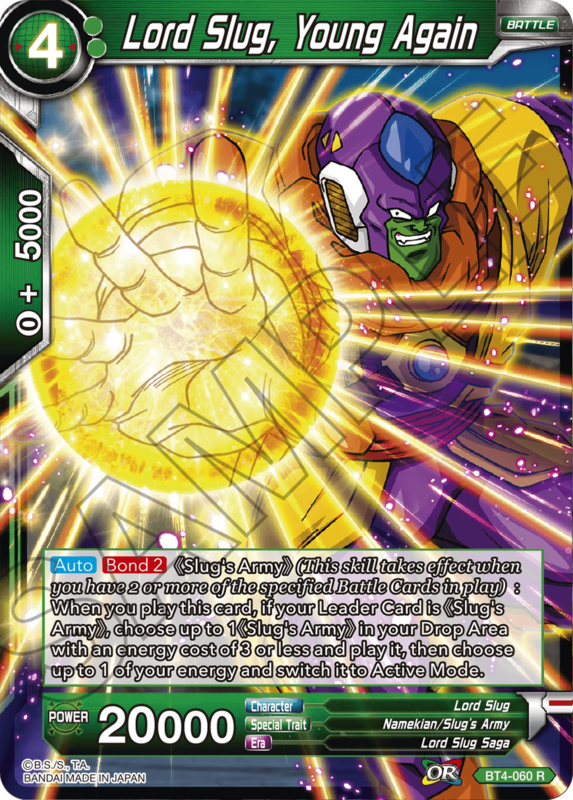 This set features many green 《Slug’s Army》 cards as well, which all work together. 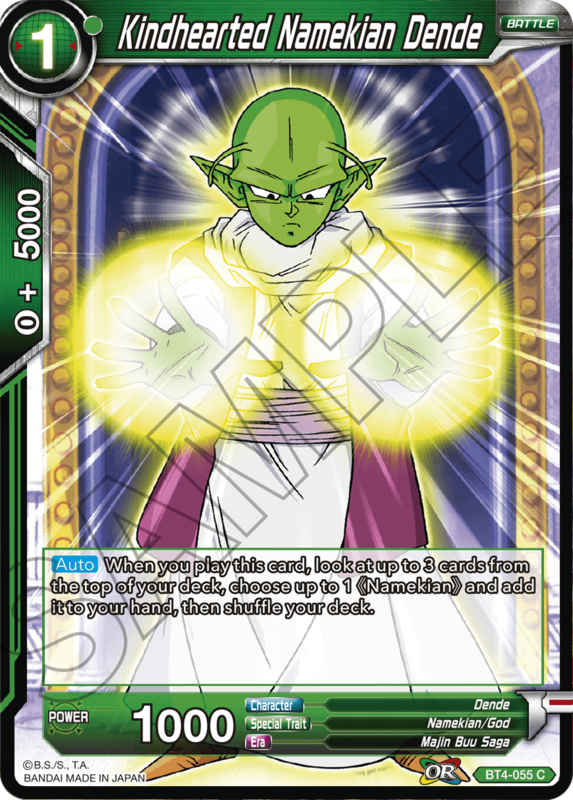 And like King Piccolo, this card also has incredible synergy with a soon-to-be-revealed SR! 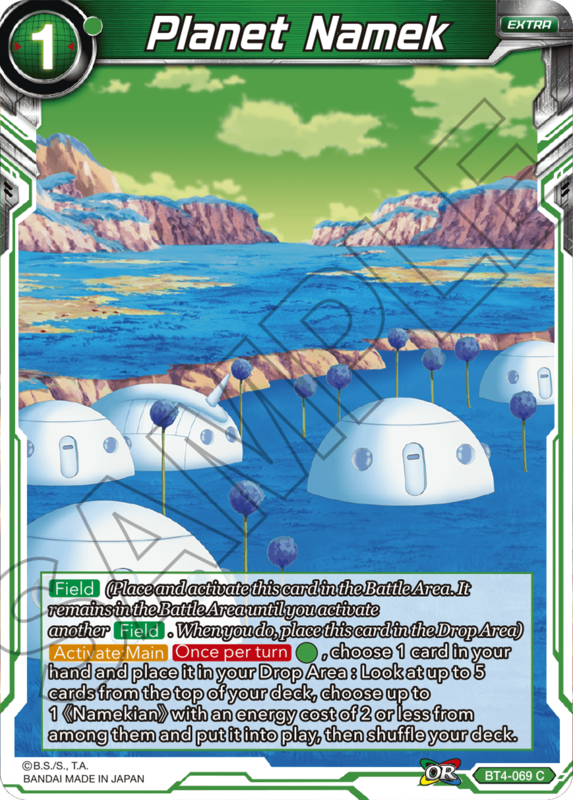 Bond requires you to have a lot of Battle Cards on the board; Planet Namek helps you get Namekians on the board and keep them there! 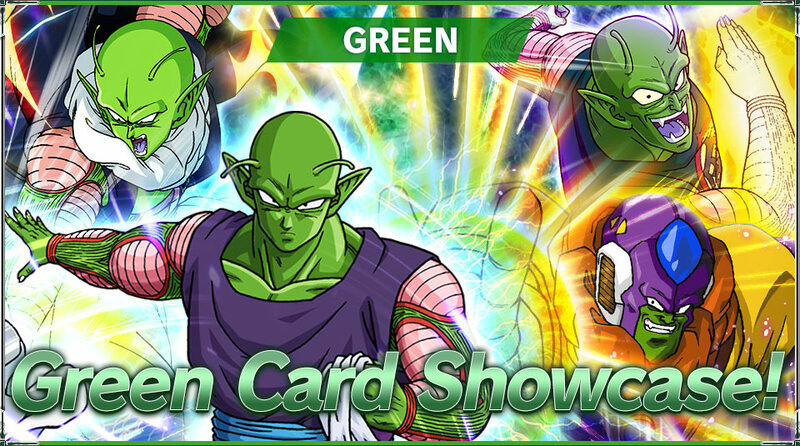 Green features cards from Namekians and Lord Slug Saga! Go on rampage with all the devastating green skills! !